When the shepherd calls to his sheep it is for a specific purpose. He does it for reasons that have the best interest of the sheep in mind. He does not do it arbitrarily or just to indulge himself. Hearing his voice lets the sheep know their shepherd is there. The comfort that brings is monumental. When sheep know the shepherd is with them, their fears are assuaged. They know they are protected. They are assured that he cares. Cared for sheep are content sheep. 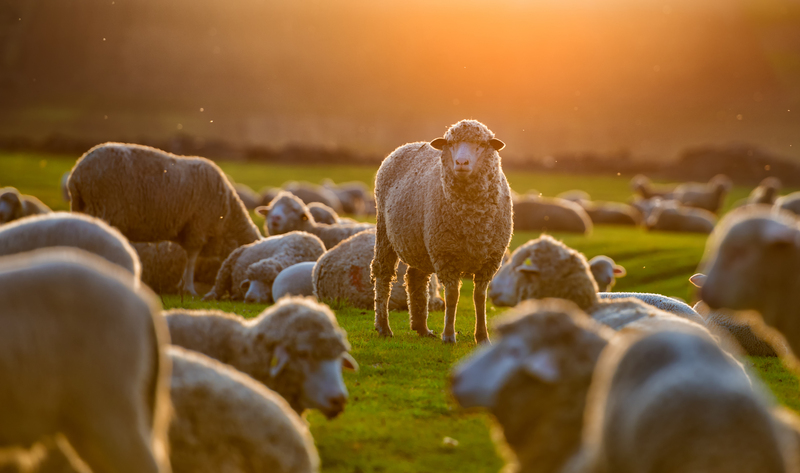 The voice of our Shepherd can be heard in many ways: through His Word, in quiet times with Him, through pastoral messages or teachings, through other Christians, through the beauty of the earth and our universe…and several other ways. Because He knows us intimately, He knows how to speak to us. And we, by spending our days with Him, clearly know His voice above all the others that want our attention. In fact, sheep in the field won’t respond to any other voice than that of their shepherd. When sheep hear the voice of their shepherd, time stands still for a moment so that they may hear clearly what he wants of them. They listen. He commands their interest. They know he has some good reason for calling to them. They want to know what it is. And so, they obey his call. Oh, that we would be that pointed! Some sheep are stubborn and recalcitrant. Some are distracted. Some are lazy. We have a Shepherd who has great plans for His sheep (that’d be us) and yet, rather than be led to “hope and a future”, we dally in the vapid. Time-wasters. Ugh. We, as sheep, can choose to listen and follow and obey the voice of the Shepherd we know loves us. We can move toward whatever He has for us because we know His thoughts toward us are good. We can put our faith into action and watch as He leads us on the path of righteousness for His name sake. We can make these choices because we KNOW our Shepherd and we know He can be trusted. When we make those choices, we find we are contented sheep and can say like Paul, I have learned the secret of being content… (Phil.4:12). Trusting the voice of our Shepherd will do that for us.